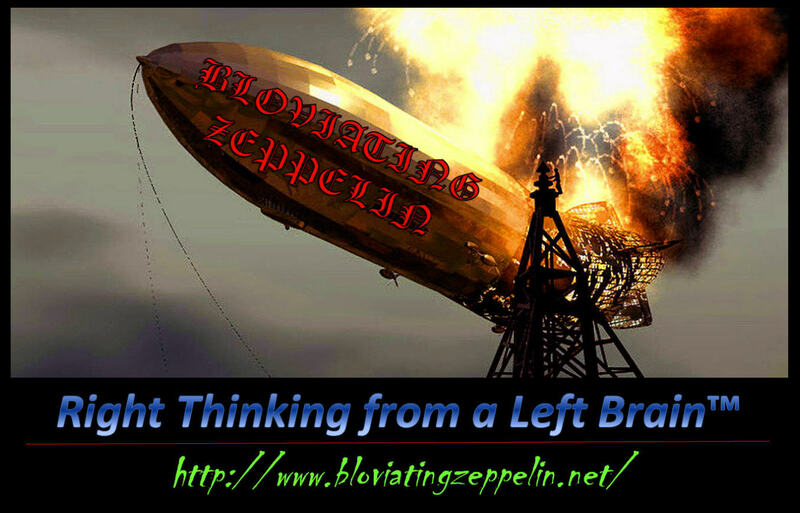 This is my last post on Bloviating Zeppelin. I started this blog in June of 2004. It is time -- for any number of reasons -- to move on. Please go there now and make your comments, should you so desire. My most sincere thanks to each and every one of you who helped me along during these crazy, tumultuous, "interesting" and confusing years. One door closes -- and another one opens. Well, I can't say "I'll miss you" if you're going to another of your own blogs, but I'll say I wish you the best at the new one and will go there right now! Going to the new site to check it out. Good luck to you BZ. I will of course check out the new digs. I just hope I can comment as I too do not have a wordpress account. What has Mr Obama done?